About ESW | Planning a wedding is a journey, join us! 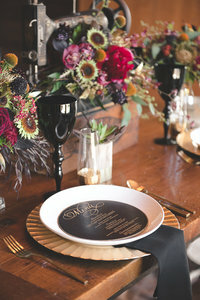 Planning a wedding is a world full of details, design, emotion, FUN and sometimes drama! (…As you might have noticed already) It can become overwhelming, maybe it’s just plain exciting, or maybe it’s hard to make decisions that’s best for you and your partner with all the extra “noise” that surrounds the wedding planning process. This is all normal, and know you aren’t alone! As I’ve continued to be in business (nearly 10 years now), I’ve learned a ton (and quite honestly, I’m still learning; every event, every client, every day – if I’m not learning, I think I’d be dead and I’d much rather be learning and growing into my best self, #amiright!) What I’ve learned most candidly, is what I want for me and my couples to experience throughout the planning process and my how my relationship and planning partnership with my clients unfolds and begins to form that special bond. Listen, I have been a wedding planning machine, I have done multiple weddings in one weekend, and I have been worked to the bone. But that hasn’t done much for me other than WAKE ME UP, and wear me out! This wasn’t the experience I was looking for with my clients, I hardly knew them. I worked for them and then left their wedding day filled with love and joy for them, but missing something. I’ve shifted my focus and better defined my planning process with my clients. Now here at ESW, we have tailored our planning process to incorporate an intimate and personalized experience. We want to know you, know all about you and your partner; we want to feel the love with you; we want to become your rock, confidant and partner in planning crime; and leave your wedding day as a friend that got to celebrate alongside you! We work with a few exclusive clients each season, as we want to provide that one on one experience for our clients. We focus on full service + design weddings, whether that be a tiny wedding or a large scaled wedding, we want to be intimately involved and personalize the process to match your aesthetic, preferences and priorities. We have to highlight those things that make you a couple different from all the others. We want to share your love story by incorporating those defining details. We want to help create the most memorable guest experience for you, yes, but your guests as well. We are looking for clients that value creativity and expressing who they are, clients who want their wedding to incorporate, not only a tasteful design and aesthetic, but a memorable guest experience highlighting why they chose Colorado to host their wedding, and clients that trust their vendors and creative partners as experts in crafting the most beautiful day to them. If this is you – I can’t wait to connect with you! Here at ESW, we are committed to giving you a fun, educational and thorough planning journey, culminating with an incredible experience for you and your family and friends to remember for a lifetime!